Sensi #219 auto (Kush x Hindu Kush Auto) – the power of Kush, cubed and made autoflowering. Potent, pungent, and easy to grow. What’s even better than kush? More kush! The name itself has become synonymous with exceptional cannabis. Our Hindu Kush has been part of the Sensi Seeds catalogue practically from day one. Combining it with the best America had to offer, we are proud to present this compact and heavy yielding variety producing copious amounts of resinous, pungent buds with a delicious earthy and spicy flavour. It’s never been a particularly difficult plant to grow, and creating a feminized, autoflowering version just made it even simpler, both indoors and outdoors. Anyone with a limited amount of time and energy should consider SENSI #219 AUTO as a quick and easy way to obtain harvests of strong, effective kush buds. The Sensi #219 auto strain has large proportion of Indica genes in its background. Sensi #219 auto will have a relatively long flowering time. Sensi #219 auto will have relatively small height gain during the flowering phase. Sensi #219 auto can produce a very large yield, but may require a little extra care to achieve their full potential. 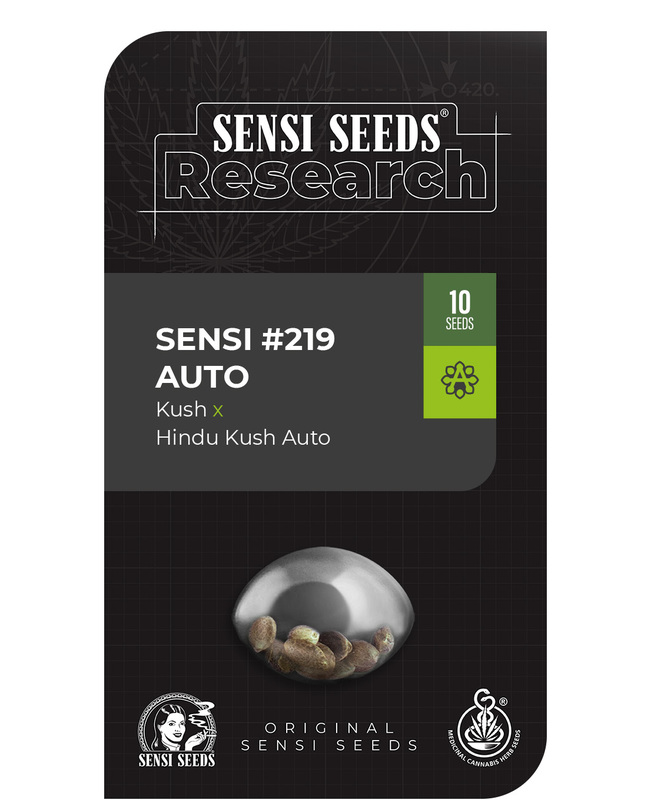 Sensi #219 Auto Seeds is added to your shoppingcart! Sensi #219 Auto Seeds is added to your wishlist!